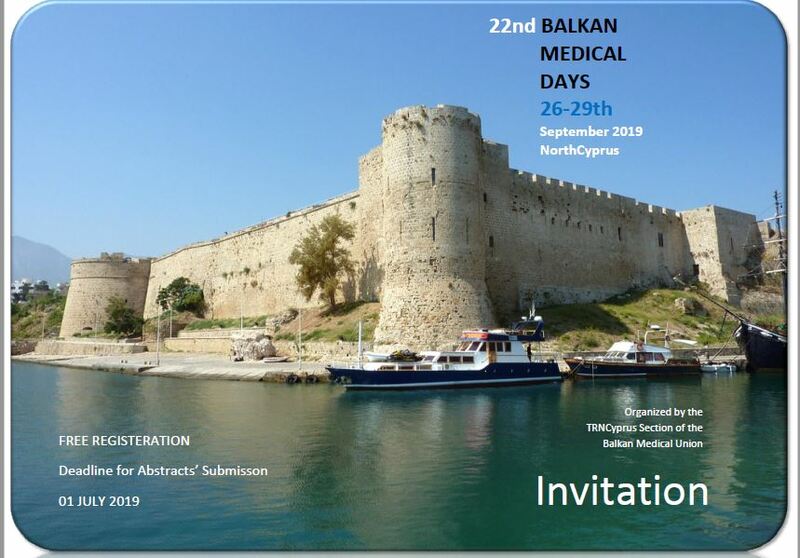 22nd Balkan Medical Days organized by the TRNCyprus Section of the Balkan Medical Union , will be held in NorthCyprus, on 26-29 September 2019 . The 22nd Balkan Medical Days will gather scientists of multidisciplinary fields from the Balkan countries (Albania, Bulgaria, Cyprus, FYROM, Greece, Republic of Moldova, Romania, Serbia, Turkey), members of the French National Academy of Medicine and opinion leaders of health care system. In an attempt to promote medical knowledge and create a strong health network in Balkan countries, an exciting scientific program has been designed this year that will encourage collaboration, exchange of knowledge and experience among members and participants.